Real Estate News | Emirates Property-what's your property cravings? Sooma Real Estate Developer LLC, a Dubai-based real estate company, announced the completion of Al Fouad, one of the first ready residential buildings located in Al Furjan, a 560-hectare master development from Nakheel. The developer’s focus was to ensure timely delivery of Al Fouad along with the display of high-quality fixtures and finishes of their flagship project. The official public launch took place earlier this month and so far, 51 percent of the apartments are sold out. Attractively priced and strategically located between Sheikh Zayed Road and Sheikh Mohammed Bin Zayed Road, adjacent to the Discovery Gardens community, the property houses studios, one, two and three bedroom units. Fueled by the growth in the economy, combined with the emergence of more affordable housing options, the UAE’s property market is starting to gain momentum once again, with a focus on community-based living spaces. 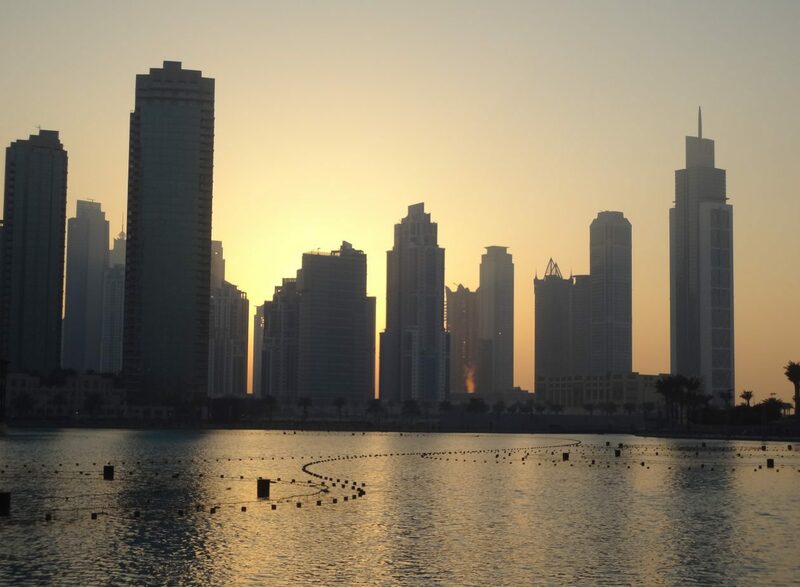 According to the Dubai Land Department (DLD) 69,000 real estate transactions in Dubai accounted for approximately AED 285 billion transaction value. The completed and ready to move in Al Fouad development houses 105 apartments all with DEWA connection in place. The building boasts two retail units on the ground floor, a rooftop swimming pool and gym, and underground/over ground shaded parking. Buyers are given a choice of closed or open kitchens, and all apartments come with balconies offering villa community and Dubai Marina views. Prices start from AED 850 per sqft and the Dubai Islamic Bank is providing mortgages to buyers. Engel & Völkers, exclusive sales partner of Sooma, have announced an attractive payment plan for the prospective buyers, which gives them a chance to pay 30 per cent of the purchase price after moving into the property. The company also provides around the clock assistance including renting the property to the right tenant. Show apartments are now ready for daily viewings. Al Furjan, one of Nakheel’s most popular and fastest-growing communities, is currently home to more than 5,000 people–with a projected population of over 65,000 when completed. The mixed-use community blends unique urban living experiences with a wide range of amenities, including parks, landscaped walkways and kids’ play areas, schools, medical facilities, mosques and retail and community facilities. Al Furjan is home to its very own retail unit, Pavilion, with a second under construction, as well as the recently-opened Al Furjan Club, which is a new dining and leisure complex with restaurants, pool, gym and sports courts. Al Fouad is just a 15-minute car drive away from Ibn Battuta Mall, 15 minutes away from Dubai Marina, 18 minutes from Al Maktoum International Airport and 30 minutes from Downtown Dubai. The extension of the Dubai Metro network to connect the Expo 2020 site will make Al Furjan accessible by metro, further enhancing the connectivity. Besides Al Fouad, Sooma Real Estate Development has many new projects in the pipeline in the same area. UAE, November 1, 2017 – Indian investors emerged as the top foreign realty spenders in the UAE in 2016, injecting over USD 3.2 billion into the Dubai market alone per reports from the Dubai Land Department. Aside from their country’s long-standing cultural and commercial ties with the UAE, Indian investors are attracted to the Emirates’ stable economy, safe environment, favourable real estate regulatory framework, and highly competitive property rates. Falconcity of Wonders LLC will seek stronger connections with India’s property seekers during its participation in the Indian leg of the globally renowned Dubai Property Show running from November 3 to 5, 2017 at the Bandra Kurla Complex in Mumbai, India. The developer will highlight the latest updates on its flagship development, the 41-million-square-foot falcon-shaped Falconcity of Wonders (FCW). Indians are among FCW’s top foreign investor groups and have consistently shown great interest in the development’s unique ‘The World in a City’ theme. Once completed, the multipurpose mega project will delight its residents and guests alike with modern versions of world-famous landmarks such as the Pyramids Park, the Dubai Hanging Gardens of Babylon, the Eiffel Tower Dubai, the Taj Arabia, and the Leaning Tower of Dubai.